If you are dissatisfied with the look of your smile because you have misshapen or gapped teeth, then dental bonding could be the ideal treatment to help you transform the look of your teeth and give you a confident smile. Dental bonding is a pain-free and minimally invasive procedure that can help give you the Hollywood smile that you have always wanted. It involves using a composite putty-like resin which is applied to your teeth to give them a new shape. 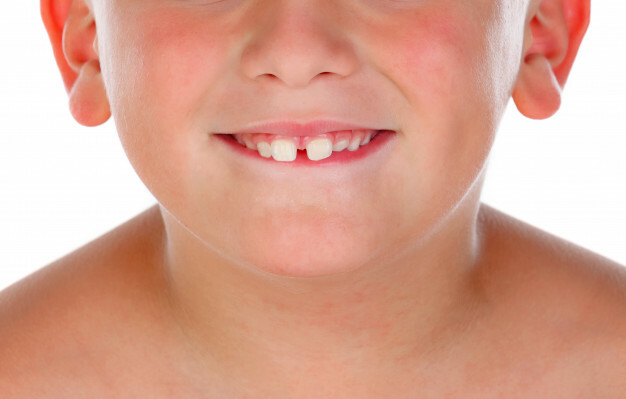 When teeth are crooked, jagged and misshapen, they can draw negative attention to your smile. People with these types of dental issues often avoid smiling because they are self-conscious about their teeth. Dental bonding can help resolve issues like this – even making teeth that are too small appear longer in order to give your mouth a more uniform appearance. For celebrities like Anna Paquin and Eddie Murphy, having gapped teeth has become part of their signature look. But sometimes, if a person has very large gaps (or if they simply don’t like the appearance of even smaller gaps), they can feel unhappy with the appearance of their teeth. Dental bonding can be used as a solution to fill in those gaps. Dental bonding is a procedure that has been used safely and effectively for decades. The procedure is a relatively quick one, taking only about 30-60 minutes per tooth. In other words, you can have the smile that you have always wanted in as little as one dental visit! Another benefit of dental bonding is that it is low maintenance. Simply care for your teeth as you normally would with regular brushing, flossing and check-ups and the results of your procedure can last up to ten years! Dental bonding is a popular dental treatment, but it isn’t right for everyone. For example, if you have a pronounced over or under bite, it may not be as effective as other treatments. And if your concern is that you wish to have whiter teeth, another treatment such as dental whitening or veneers may be a more appropriate choice. About tooth bonding How dental bonding can change the look of your teeth? Is dental bonding the right treatment for me? What is Dental Bonding?